Living Classrooms manages several waterfront campuses across Baltimore and Washington, DC, including historic ships, museums, and community centers that provide the perfect venue for all types of occasions including weddings, reunions, corporate dinners, cocktail parties, meetings, and sporting events. Proceeds from the rental of any of our facilities support the ongoing delivery of Living Classrooms’ life-changing programs that are making our community safer, stronger, and healthier. The Frederick Douglass-Isaac Myers Maritime Park is the Living Classrooms Foundation headquarters and national heritage site that celebrates the legacy of Baltimore’s own Frederick Douglass, Isaac Myers, and the first shipyard established by African-Americans in 1868 right at the water’s edge on the Inner Harbor in historic Fells Point. 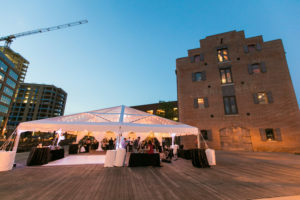 With its exquisite industrial elegance, floor-to-ceiling windows, and brick courtyard with sweeping views of the Baltimore Harbor, it will be sure to make the perfect backdrop for your private reception. Located in the center of up-and-coming Harbor Point in historic Fells Point, Baltimore, Living Classrooms’ East Harbor campus is the perfect destination for your next special event or corporate meeting. With indoor and outdoor space and a tower overlooking the city, your guests will enjoy beautiful views of the water’s edge on the Inner Harbor – perfect for your next outdoor corporate retreat. Conveniently located off the entrance to the Jones Falls Expressway in East Baltimore, this state-of-the-art community center, sponsored by Under Armour, boasts an impressive turf field, full court gymnasium, dance and yoga studio, music production and recording studio, conference room, computer lab, classroom space, and community kitchen. 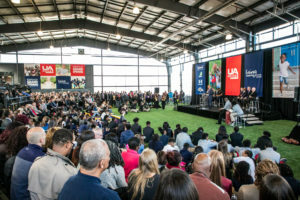 Whether it’s for sports competitions and training camps, independent dance and exercise classes, or corporate conferences and receptions – the sky is the limit for the ways this massive space can be utilized. The last Civil War vessel afloat, the USS Constellation is now permanently docked in Baltimore City’s iconic Inner Harbor. 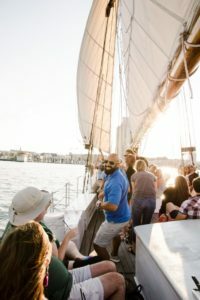 The USS Constellation provides spectacular views of Baltimore’s historic waterfront and offers a most distinctive venue for corporate hospitality and private parties of up to 500 people. Included in each private rental is two guided tours along the four decks of the ship by crew members dressed in period attire, as well as one cannon firing. Located on Pier 5 in Baltimore, the US Coast Guard Cutter Taney is one of seven Treasury/Secretary Class cutters built for the US Coast Guard and is the last surviving warship afloat today from the attack on Pearl Harbor. 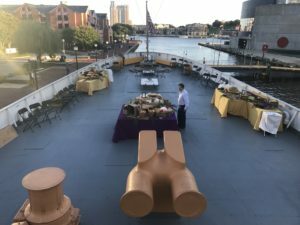 The upper deck of the ship is exposed to the incredible Baltimore skyline and is available for private parties under 150 guests who want to experience a piece of history. The Seven Foot Knoll Lighthouse was built in 1855 and is the oldest screw-pile lighthouse in Maryland. 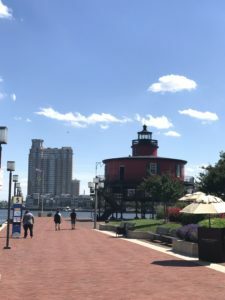 Located on Pier 5, Baltimore Inner Harbor, the Seven Foot Knoll Lighthouse is open to the public during the day and can be reserved, along with the surrounding promenade, to hold corporate parties and private receptions in the evening. 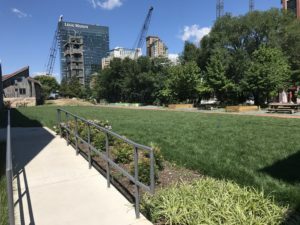 Located adjacent to MECU Pavilion, it’s a perfect listening post for outdoor summer concerts. Docked at Yards Marina, on the Southeast waterfront in Washington, DC, the Mildred Belle is a historic 1948 Chesapeake Bay buyboat, bringing history and environmental science to life along the Anacostia and Potomac Rivers for area students. 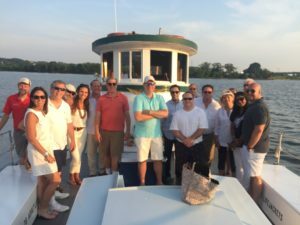 Mildred Belle makes a beautifully unique venue for daytime group educational trips, evening happy hour cruises, corporate gatherings, and dockside parties. 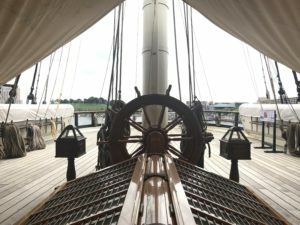 The Lady Maryland, Living Classrooms’ flagship, is a replica of a Chesapeake Bay pungy schooner, a boat which sailed the Bay in the 1800’s. Built by Living Classrooms in 1985, Lady Maryland has become a successful and integral learning resource to schools’ curricula- providing hands-on Environmental STEM experiences for students from throughout the region. Docked at the Frederick Douglass-Isaac Myers Maritime Park in historic Fells Point, she is also one of the most beautiful vessels to line Baltimore’s waterfront. Able to hold up to 35 passengers, Lady Maryland is a beautiful venue for evening sails appropriate for all kinds of special events. Originally built in 1901, skipjack Sigsbee served in the oystering fleet for 88 years. Today, Sigsbee sails as part of Living Classrooms’ educational fleet serving thousands of students per year. 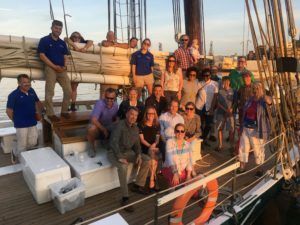 Docked at the Frederick Douglass-Isaac Myers Maritime Park in historic Fells Point, she is centrally located for an exquisite evening on the water for parties of up to 30 guests. Enjoy the sunset over the Inner Harbor skyline during your next corporate party, family celebration, or team building outing. 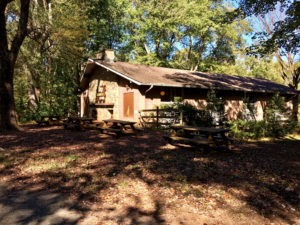 Camp Fraser lies on approximately 76 acres of wooded land in Great Falls, Virginia, surrounded by more than 220 acres of Fraser Preserve, an undeveloped area managed by the Nature Conservancy. Just a short 45-minute ride from downtown DC, it provides an escape from the hustle and bustle of the city and an immersive nature experience. Camp Fraser is home to numerous hiking trails, running rivers, a climbing wall, lodging cabins, and a variety of outdoor activities perfect for company retreats, team-building events, family reunions, and large group gatherings for one or more days. Located on the banks of the Anacostia River near RFK Stadium in Northeast Washington DC, Kingman and Heritage Islands Park is a State Conservation Area and home to several indigenous plant and animal species – providing a beautiful natural backdrop against the bustling capitol. The venue has become a destination for urban hikers, runners, bikers, and paddlers and can be reserved for your next event, large or small. 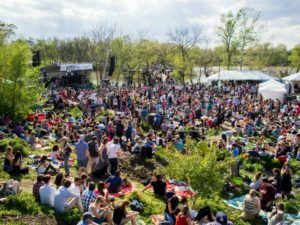 Kingman Island is a great place for family reunions, races, and concerts. For more information about these venues, please visit www.spacesbyselect.com.